Joomla Hosting Reviews interviews SiteGround CEO Tenko Nikolov about website security. ...since we’re always proactive about such problems and try to think out-of-the box for a solution, we created our own virtual environment for every shared server. Joomla Hosting Reviews (http://www.joomlahostingreviews.com) published their interview with SiteGround CEO, Tenko Nikolov about recent security procedures on their servers. Joomla Hosting Reviews asked Tenko about how SiteGround stays informed, security enhancements made, how they are implemented, and how they protect against compromised accounts. 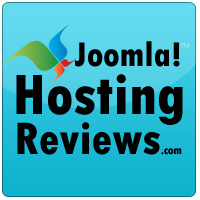 Joomla Hosting Reviews interviewed SiteGround about Joomla hosting earlier this year. Read about it here. About Joomla Hosting Reviews -- Joomla Hosting Reviews, established in 2005, is owned and managed by Intown Web Design of Atlanta, GA. The site was created as a place for Joomla Users to post reviews and learn about the best joomla hosting companies. They are not related in any way with the Official Joomla Project. It is a website that brings hosting, server information, and help to the Joomla community.